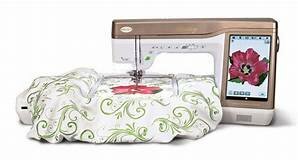 Destiny / Solaris Owners - do you want to explore your Baby Lock Sewing and Embroidery machine beyond the basics? Join us each quarter as we explore the techniques and capabilities of the Destiny and the Solaris! Take your sewing to the next level with this fun filled club. In February we will learn and discuss quilting in the hoop.